England’s Prince Harry carried the pain of his mother’s death most of his life. After two tours in Afghanistan, he realized he had to shape up. Prince Harry saw the psychological burdens borne by soldiers crippled in war. He wanted to heal himself so he could help others heal. Prince Harry shared his thoughts with a fellow vet, Dave Henson, a former Invictus captain and a Paralympic medal winner. Prince Harry spoke about what he had gone through and how it led to creating the Invictus Games. “Once I pulled my head out of the sand post Afghan, so yes it had a huge life changing moment for me as well,” Harry told Henson. 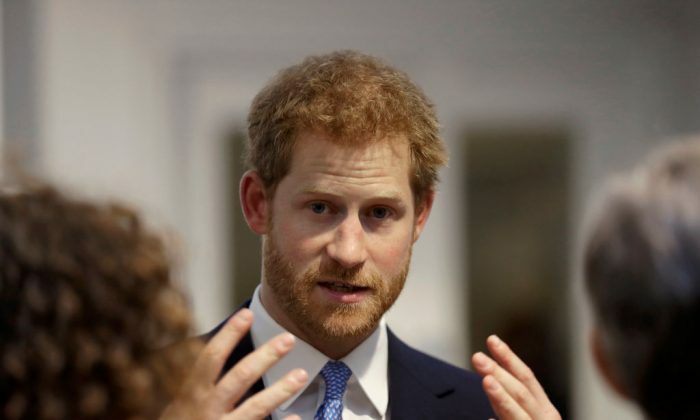 “It’s like, right, you are Prince Harry, you can do this … you are going to be able to get that support, because you have the credibility of 10 years service, and therefore you can really make a difference,” he said. With Invictus Games, Prince Harry gave wounded veterans a place to compete, to build their self esteem. He created a safe place where they could meet other people who were in the same situation. “When you meet other lads who had a similar journey or the similarity is there, then you can help them, and you can have a bit of a banter,” Harry explained. “And the moment you have that banter, you can see them relax. And then once they have realized, hang on, I’m not the only person here, there are so many other people who have suffered and recovered, I’m gonna go and sort this out, I’m gonna go and get help,”the prince said. Harry sought help, and was so moved he started a nationwide campaign to help people talk about mental and emotional troubles. The Invictus Games were his channel to a specific group of people; war vets who had been hurt—who faced struggles that most people would never know. From his own experience, Prince Harry knew that these soldiers would be eager to help each other, and would heal themselves to do it. When he heard what Harry was saying Henson’s response was that when he started his journey back to well-being, he would take his mates along with him. “That’s what I love about it, is that it’s not a selfish thing.” the prince rejoined. “You help yourself, so you can help others. And I think that is hugely powerful,”said the prince.